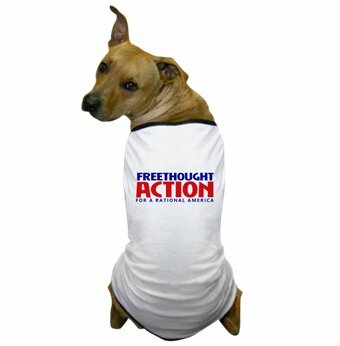 FreethoughtAction provides you with many resources to learn about freethought and to help spread the word. FreethoughtAction proudly presents our empowering GetReal program to help rational people move beyond superstition. It’s currently available in flyer form that you can print yourself for distribution wherever you think it will have the best impact. The flyer promotes a few keys steps toward living a reality-based life in a fun and concisely presented format. You can find the flyer HERE. We offer a growing selection of memes you are welcome to use on social media. You can check them out at our Shutterfly account HERE. The Secular Directory is a resource for freethinkers and secular individuals to locate local groups in their area to join. It also provides information about organizations ranging from local to national to international. And they include groups that, by their activities, can be defined as charitable, congregational, educational, philosophical, political, social, student, support, or more than one of these. You can also find links to a variety of online and print media and videos. Moreover, there are online celebrant services (for non-theistic weddings and funerals), educational resources, and social networks. Finally there are listings for state, regional, national, and international conferences and conventions. You are welcome to take advantage of all these resources by visiting the site at SecularDirectory.org. Finally, our T-shirts, hats, buttons, bumper stickers, and more will allow you to become a walking – or driving – billboard to promote freethought. All profits go toward placing more media, so you get double bang for your buck. Check out the items in our store HERE. We will be adding more resources here in the future.